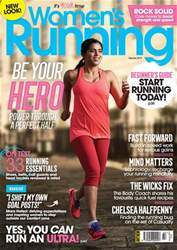 Digital Subscriptions > Women’s Running > February 2019 > We’re ultra! “I had absolutely no idea what I was doing when I first started running. I used to shuffle 15 minutes at a time under the cover of darkness clad in an oversized t-shirt to hide my waistline. All I knew was that I was overweight, living an unhealthy lifestyle and I had to do something about it. “Roger, my father-inlaw, became my mentor and training partner. He taught me consistency, pacing when he beat me in my first half marathon and how to take refuelling seriously. 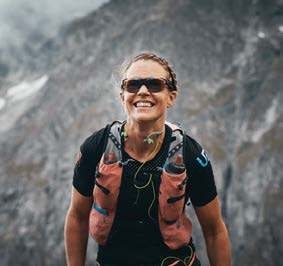 Th en I discovered some amazing women, including Lizzie Hawker winning the female race at the UTMB. I realised there were adventures to be had. “My husband surprised me with a place on the Marathon des Sables as a birthday present, built me a heat chamber in the garage and drove me to the sand dunes in Wales. I will never forget the race.